iMicron is a product by Techwave. It provides complete unified cloud services to all the customers seeking cloud solutions. The unique platform commenced its operations in 2014 catering to different cloud requirements for enterprises, small-medium businesses, and startups. With its unique features of real-time cloud comparison, single sign-on functionality, multiple vendor management, unified billing and more, it gained a strong foothold in the cloud industry from its inception. iMicron’s cloud expertise is further increased by Techwave’s cloud assessment and deployment capabilities. iMicron is a unified cloud platform as they integrate before and after scenarios of a cloud for any business. We can assess internal IT infrastructure, choosing the cloud to manage database migration and management. As a cloud service provider, iMicron views cloud not just as a single technology, but as a foundational platform to run and drive a whole new way of doing business. The iMicron technical team comprises of more than 500 dedicated cloud architects worldwide that include 150 cloud associates and 100+ engineers. Our customers commend us for providing them solutions for optimizing their cloud costs, seamless integration of cloud with their present infrastructure and our technical expertise. Our cloud ecosystem has some of the best cloud service providers in the world which further adds to our strengths. With 16 CSPs, we have a presence in more than 26 geographies in the world making us available in any part of the world to serve our customers. 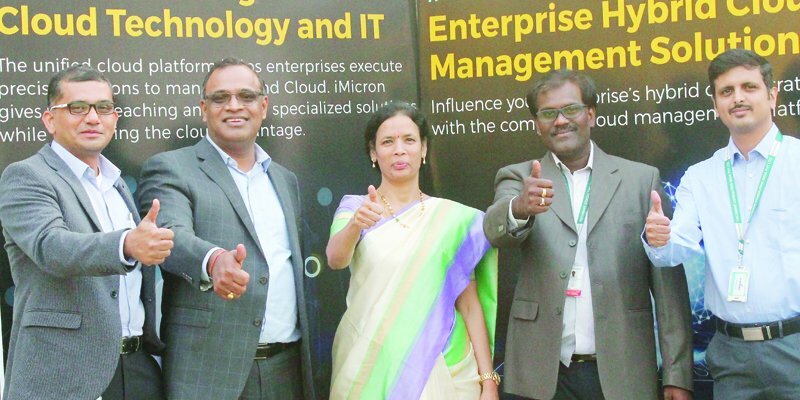 US-based IT company Techwave launches cloud platform "iMicron"
Ready to soar? Hop on to the Cloud! At iMicron Cloud, we simplify cloud solutions for end-users. Every industry, technology, or business is consuming cloud in one way or the other and we make their cloud operations easy. If you are a floater and can handle the cloud like Zeus, we have something for you!